Every once in a while (hmmm – every day), I find something that I think I just have to have. Sadly, thanks to the ease of Amazon Prime and the corresponding app on my iPhone, I often find that must-have item on my doorstep in less than 48 hours. Sometimes, in that 48 hours, I forget what is in the box… Clearly, did I really need it if I don’t even remember what it is? For Lent this year, I gave up online shopping. 40 days, 40 nights. No online purchases. No overnight diapers, no book club books, no school supplies for the kids. It was cathartic. I am sure that I saved a ridiculous amount of money. By the time I got around to getting in my car and driving to a store, I usually had forgotten what it was I really needed. Since Lent ended, I have made a huge change in my almost-daily online ordering compulsion. I started putting items in wish-lists instead of in my online shopping cart and making little “to buy” lists on my smartphone or on pads of paper in the kitchen. After I sit and reflect on the lists a bit, I realize that I don’t always need that book or snack or kitchen tool or a cute top for my daughter. In honor of my new streamlined approach to shopping, I am starting a weekly post – Must-Have Monday. If the items are on this list, they made the cut. This week, I have three items that have qualified for my new stringent purchase guidelines… I hope you approve. 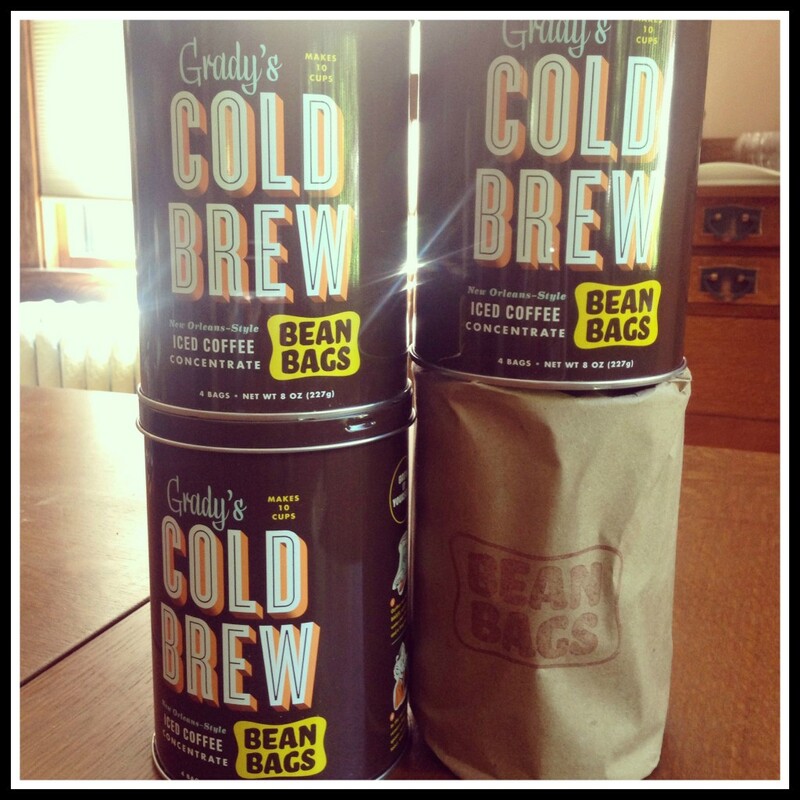 Grady’s Cold Brew Iced Coffee – One of my favorite people on the planet sent me 4 tins of Grady’s Cold Brew Iced Coffee Bean Bags. Cold brewed coffee with no mess. Picture super large tea bags – but, instead of tea, they are filled with ground coffee. Let sit for 12 to 24 hours in filtered water and – presto – wake up to delicious iced coffee in the morning. If you are an iced coffee lover, you need this. My bean bags were shipped from Food52 Provisions… Delicious!! OXO Mango Splitter – OXO has a huge line of family-friendly kitchen tools that are super useful with summer fruits. My personal favorite is the mango slicer. This tool might change your life. You can get so much more fruit from your mango without sacrificing any fingertips. You can find the OXO Good Grips Mango Splitter on Amazon. I am also giving away a trio of handy summer fruit tools – a Mango Slicer, A Strawberry Huller, and a Grape Slicer. Comment below and on Facebook to win! Stainless Steel Drinking Straws – For years, I have been trying to love reusable plastic straws to cut down on our disposable straw usage in the summer… Unfortunately, the hard plastic straws don’t love me. A friend of mine recently told me about stainless steel straws and I think these might be the answer. Easily washed, they fit in drink lids, and they don’t warp easily. Love them! These Epica Stainless Steel Drinking Straws can also be found on Amazon. Happy Monday to all of you! If your kitchen needs some fun OXO tools for summer fruit, comment below and tell me – what’s your favorite summer fruit? You can earn additional entries by commenting on Facebook. The giveaway is open until July 29! Check it out … Enjoy your summer fruit with less hassle! Disclosure: All Amazon links will connect to my Affiliate account and I will receive a small commission from those sales.